Sarah Mayerle, a junior in marketing with a minor in leadership studies, was recently awarded a scholarship by the American Advertising Federation of Kansas City. The scholarship will allow Mayerle to network and grow professionally as she finishes her last year at K-State. 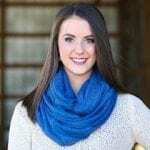 As part of the award, she will receive scholarship money, a one-year membership in the Kansas City and national American Advertising Federation, invitations to attend all regular program activities of the Kansas City chapter at no cost, and a professional mentor who works in the Kansas City area. In the College of Business Administration, Mayerle is a part of the Executive Mentor Program and is the external events officer for Business Ambassadors, where she helps to plan the C. Clyde Run and All-University Open House. This summer, she will be working in Wichita for her second internship with Textron Aviation. As a trade shows and events intern, she will have the opportunity to develop and plan the seven-day EAA AirVenture in Oshkosh, Wisconsin.